I’m a pushover when it comes to biomorphic shapes. There’s something about a kidney shaped coffee table or a boomerang shaped desk that is miraculous to me. I have a swimming pool shaped like a rectangle with a bulge. 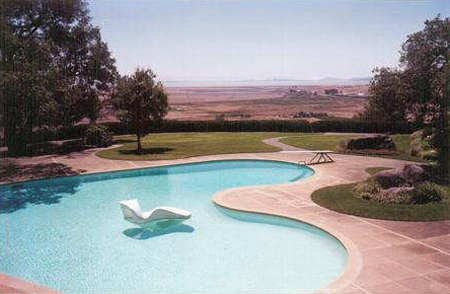 If I could build a new pool, it would definitely be kidney shaped. 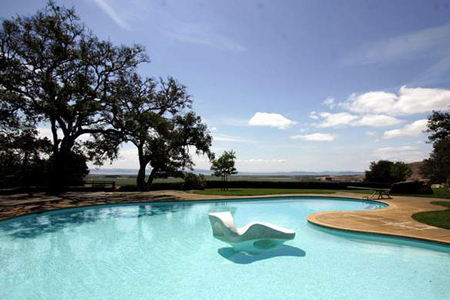 Thomas Church’s design of the Donnell Garden, “El Novillero”, in Sonoma is a perfect example. He designed the garden and pool in 1948. This was right after the war, and the California economy was booming. As part of the idea of “California Living” Church created a space that merged indoor and outdoor, and created places to entertain, relax, and swim. To be more analytical, the biomorphic forms incorporated forms from surrealism. Adaline Kent (1900-1957) created the sculpture in the center. She was a member of the group the West Coast Surrealists. 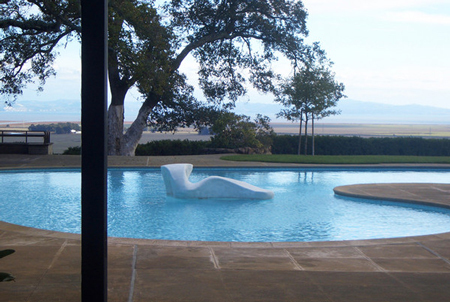 The sculpture serves as a tiny island (for drinks I assume), and a focal point in the pool. 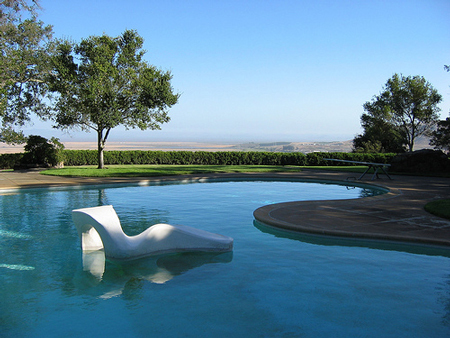 The pool is remarkable, and spawned the thousands of kidney shaped pools across the country. Why they went out of style and people now prefer the fake rock and waterfall pools is beyond me.